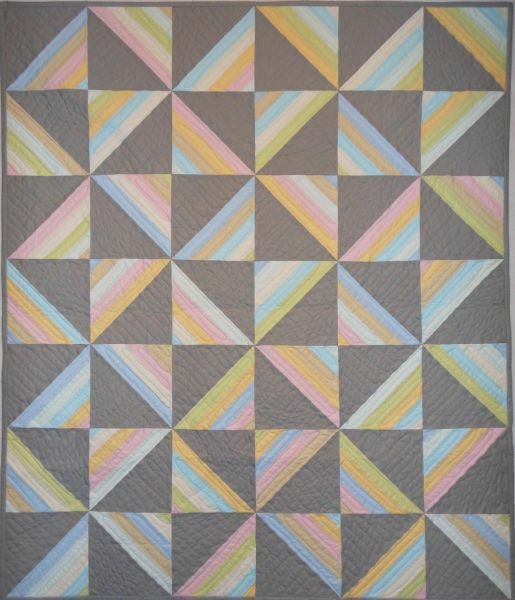 Use fat quarters to make this fun and easy quilt. The pattern calls for 8 fat quarters and 1 1/2 yards of complimentary fabric. A 90 degree triangle ruler is helpful with cutting the triangles. Borders are optional. The cover quilt features American Made Brand fabrics that use cotton that was grown and manufactured in the USA!